Vegetables often get a bad rap. 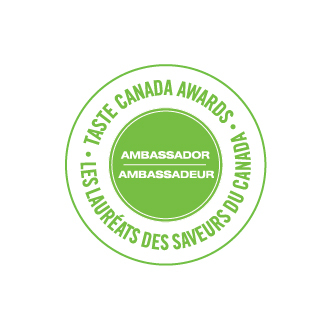 People tend to cook the hell out of them and then when the texture and flavour disappear, people grumble that they taste like nothing, and that kids don’t like them. Duh! So I thought I will share ith you how I got my kids to love brussels sprouts. 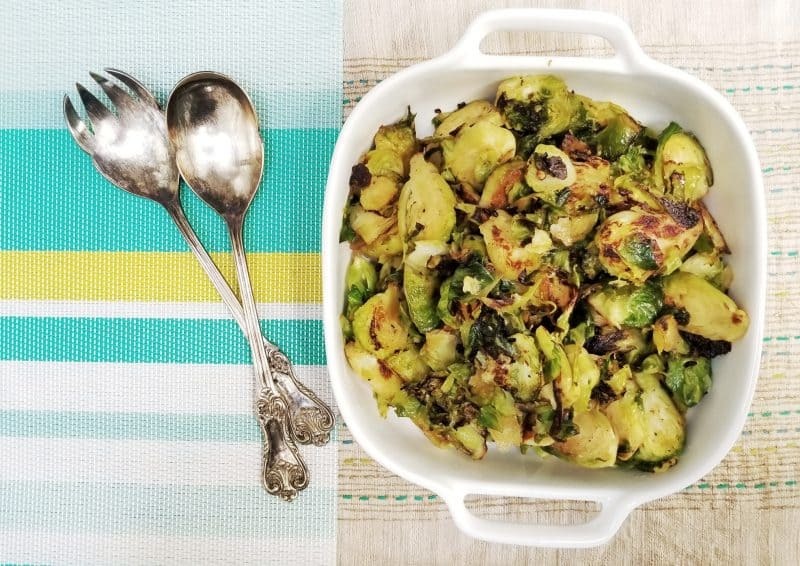 My easy – ‘cuz that’s how I roll – and by far the healthiest way to cook brussels sprouts. This dish will inspire your kids to try this humble vegetable….and LOVE it. Mine do! Brussels sprouts is one of those vegetables that has over the years got a reputation of being an “obligatory” side. I’ve heard it all, and I agree. Food should never be soggy or smelly not if we want someone to like what they are eating. While I can’t do anything about the green colour I can do something about the texture and flavour. So here it is! 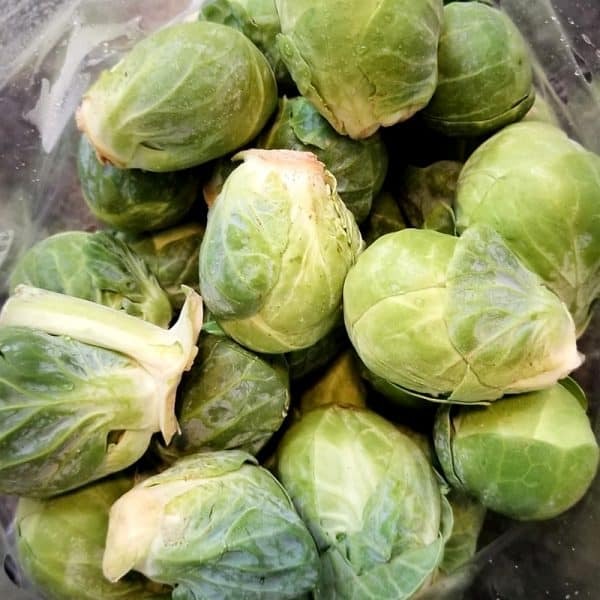 Brussels sprouts and cabbage are from the same family and look very similar – leaves on a base that are tightly wrapped along with the occasional green worm. These fall in the group of cruciferous vegetables along with broccoli and cauliflower, all of which are known to protect against cancer. Studies have found a link between eating cruciferous vegetables and a lower risk of different intestinal cancers. Convinced yet? Buy brussels sprouts with tight leaves. You find fewer worms that way. The colour should be bright and green. Peel off the outermost often loose layer of leaves and give them a good wash. Let them stand in a colander while you putter around in the kitchen and get everything else ready. At this point, you can even store the buds in the fridge in a ziplock bag for another couple of days. Just add a paper towel into the bag to soak up the moisture. Leave a little hole for the air to escape. When you are ready to cook them, slice vertically into 1 cm thick slices. You will get about 3-4 slices from each bud. Heat oil in a pan and bring it to hot. Turn heat to medium and let the stove stay at this temperature. Sprinkle salt and pepper. Toss to coat evenly. Toss and move them every couple of minutes. 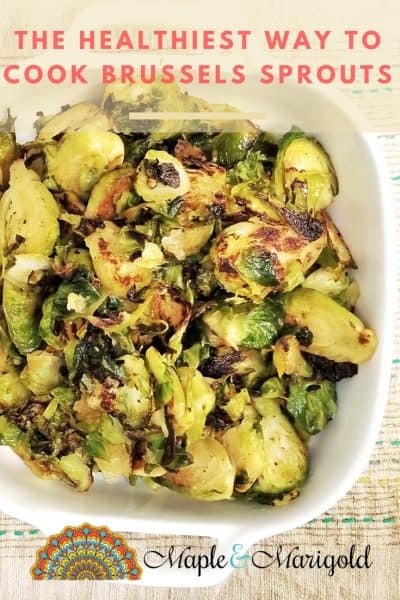 You want the brussels sprouts to get caramelized and a little brown but not burnt. Do not add water or any other liquid to deglaze. I am tempted to every time. Deglazing make cleaning the pan easier. But don’t. The vegetables will leach a lot of liquid and that’s enough to caramelize and cook. Serve on it’s own or topped with cheese or roasted nuts and sriracha chilli sauce. We like these plain – can you believe it?! Serve as the star of dinner with a vegetable pulao (recipe here). You can also read about my favourite and – dare I say it – healthiest way to cook broccoli here! This is how we cook our brussels sprouts too! So yummy!